Dodo's Market is located in Caribou, Maine. On Rte 89, 4 miles from the downtown area, and 5 miles from the constantly expanding Loring Commerce Center. Dodos Market has been established for over 35 years. This store is a 3 in 1 business with even more possibilities for the right owners. 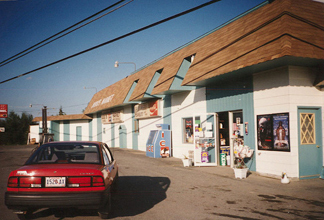 The convenience store is the heart of the operation with over 1800 sq. ft. of retail space allowing the owner to carry more that just convenience items. There are full walk in coolers, freezers, shelving, storage areas, scanner register and much more. Within the store the owners have set up a Chester Fried Chicken franchise that consists of fryers, warmers, breading table and other related equipment along with a Pizza Oven. At the other end of the store, in a separate part of the building, there is a Bottle Redemption Center that takes in about 6000 cans and bottles a day. and finally there are gas pumps, the tanks have been replaced in 1997 with a new single 12,000 gallon mixed plastic tank, it also has a separate fire prevention system for the gas tanks. The building is a two story wood structured building. The first floor consists of the convenience store, Chester Fried Chicken, and the Bottle Redemption Center. The second floor consists of a 1500 sq. ft. apartment the current owners live in. It has 3 bedrooms, 2 bathrooms, living room with fireplace, dining room kitchen, laundry room, and a screened porch. The upstairs has been mostly repainted 1 year ago and about half of all floor coverings were also replaced at that time. The basement has a daylight single car garage in it and also provides quite a bit of storage space for the store. The mechanics of the building are also located in the basement. The complete building is heated with a hot water oil fired boiler and a coal fired furnace. The outside o the building has been very well maintained and also has a completely tarred driveway. The business was appraised at $431,000.00 last year, the current owners are asking $360,000.00 plus stock, estimated stock value $50,000.00. The current owners would be willing to work with the new owners in order to help them get started and used to the daily routine. If you are interested in a great business opportunity, please call 1-207-498-3317 or 1-207-296-0341 and ask for Aline or Willard Levesque.